As you've probably figured out by now, writing about accessories is one of my favorite things to do. While covering the rtw portion of the shows is important to give you a hint of the trends to come, there's also a lot of other stuff that happens during that week and the one following. Trade shows, and press events are a great way to find new as well as established accessory resources. This go round I want to focus on handbags since we never can have enough, n'est pas? 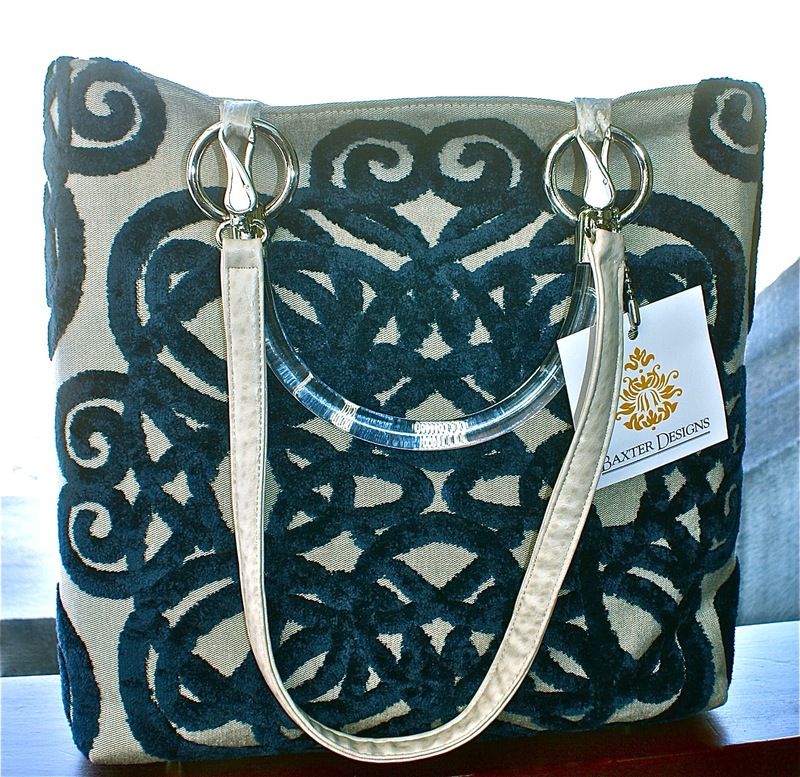 SHANA LUTHER HANDBAGS is a two-year old resource that is manufactured right here in Brooklyn. The designs are modern, clean and impressed me with the quality craftsmanship. 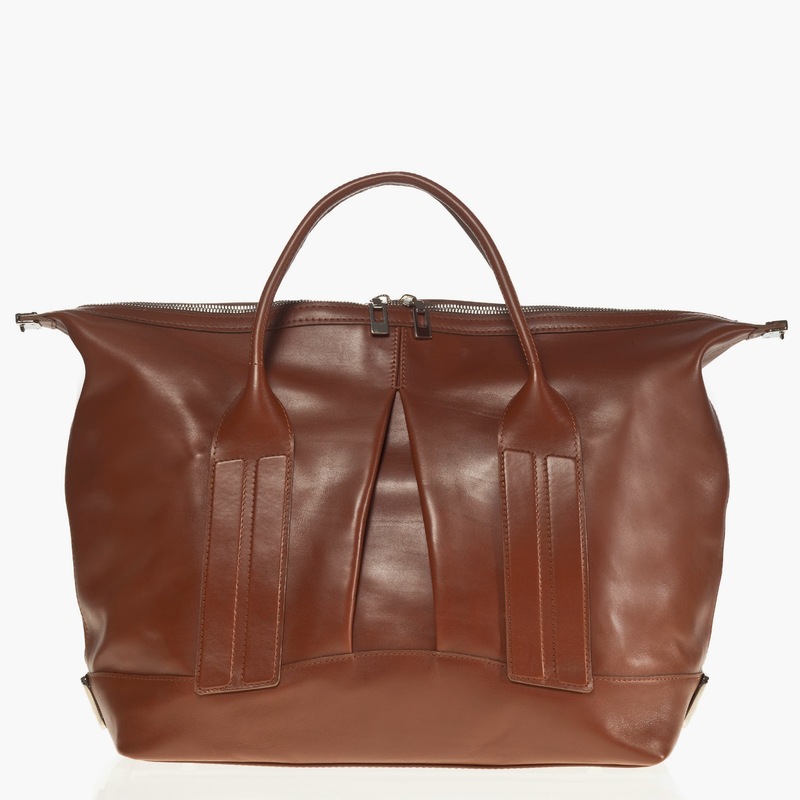 For me, Shana¹s capacious leather totes have style to spare and are worth checking out. 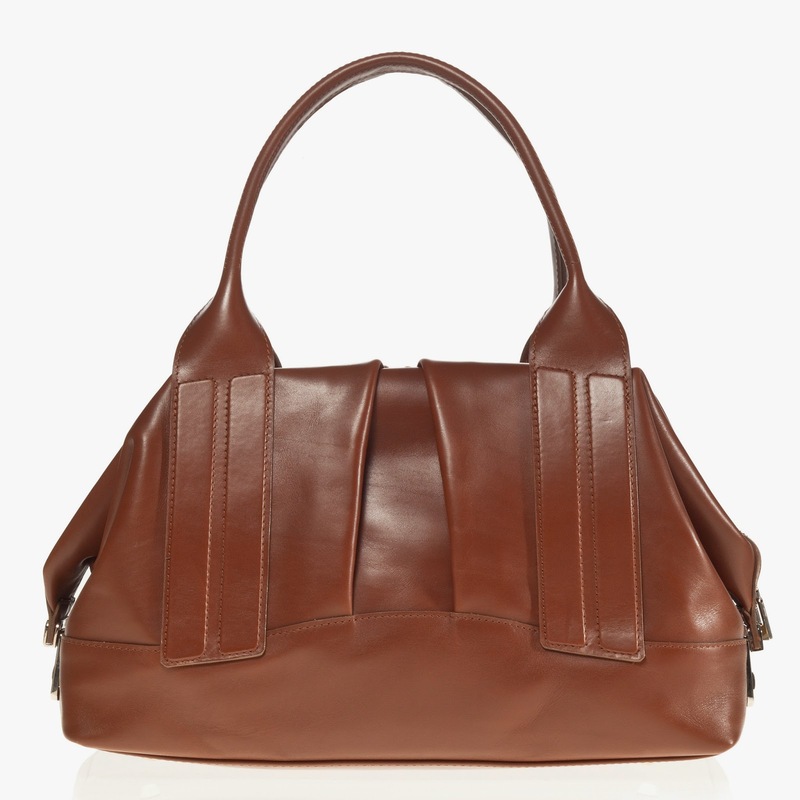 The "William" tote will hold everything you need for work or weekend shopping. Find more great styles at www.shanaluther.com. 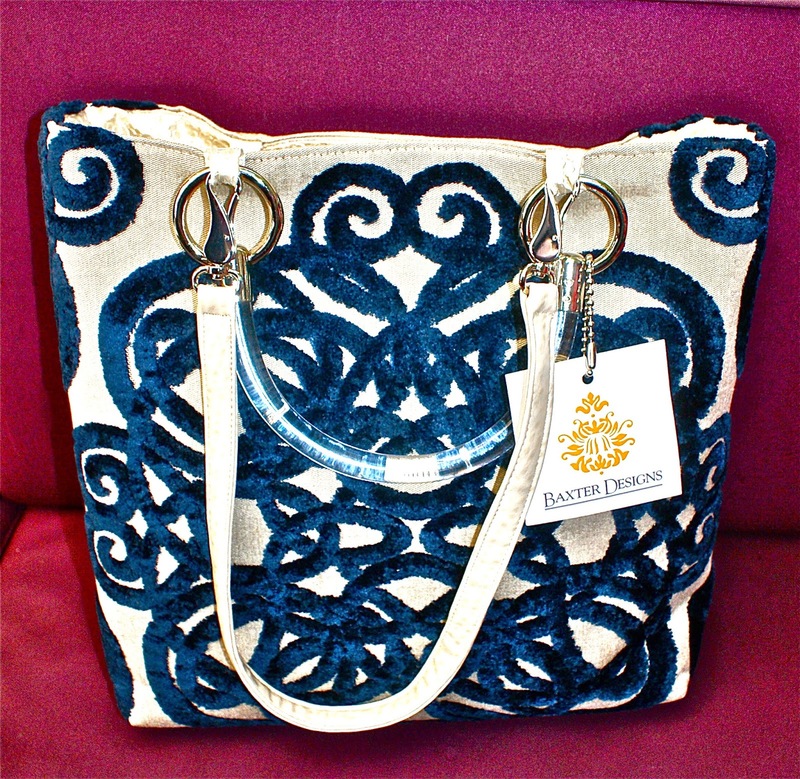 Another handbag designer making totes is BAXTER DESIGNS. These have a totally different look and will appeal to the hip, more bohemian customer. The luxury totes (and clutches) are made in designer fabrics with silk linings and come in an assortment of fabulous prints and a wide range of colors. Check them out at www.BaxterDesigns.com. Calling All Bohemians... Baxter is on Line One! I skipped over the rtw during RAOUL's fashion week presentation. Instead I zeroed in on the range of handbags on display. 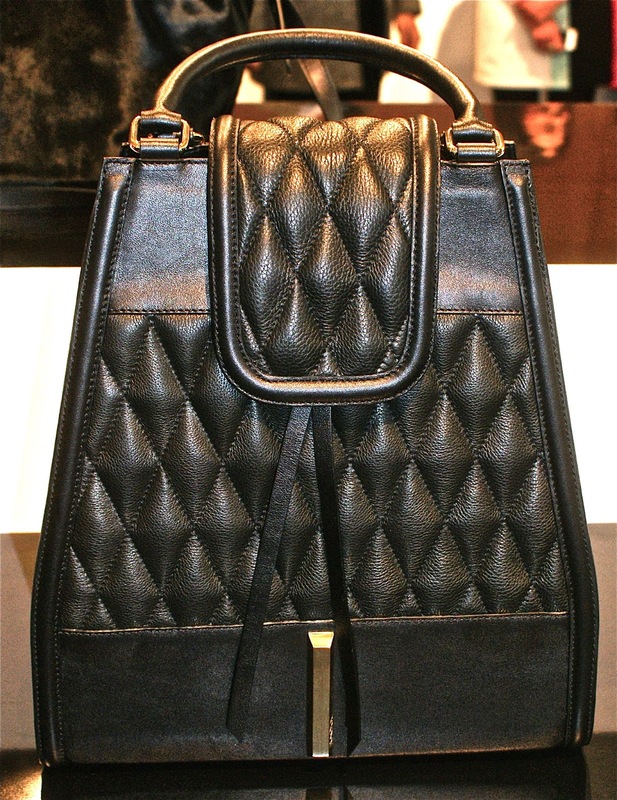 I loved the black/white graphic looks with touches of red, while the use of luxurious leathers, calf hair and quilting touches made me a convert. Now if only I could afford one of Raoul's top quality designer bags! RAOUL'S RTW - Amazing, Right? C&C Says: "Raoul's Bags Stopped the Show..."
Speaking of designer bags, DRESSAGE was a collection to drool over. Made in Italy (natch), the heritage embodies the finest combination of materials and textures. Each bag is a chic yet refined work of art. In addition to classic handbags there were weekend carryall pieces geared to both sexes. Save up for one of these beauties since the styling throughout is timeless and made to last a lifetime. If you love the "Hermes" aesthetic you will die for one of these handbags. Check them out at www.DressageCollection.com. JOANNA MAXHAM is a name I had not heard of before now. 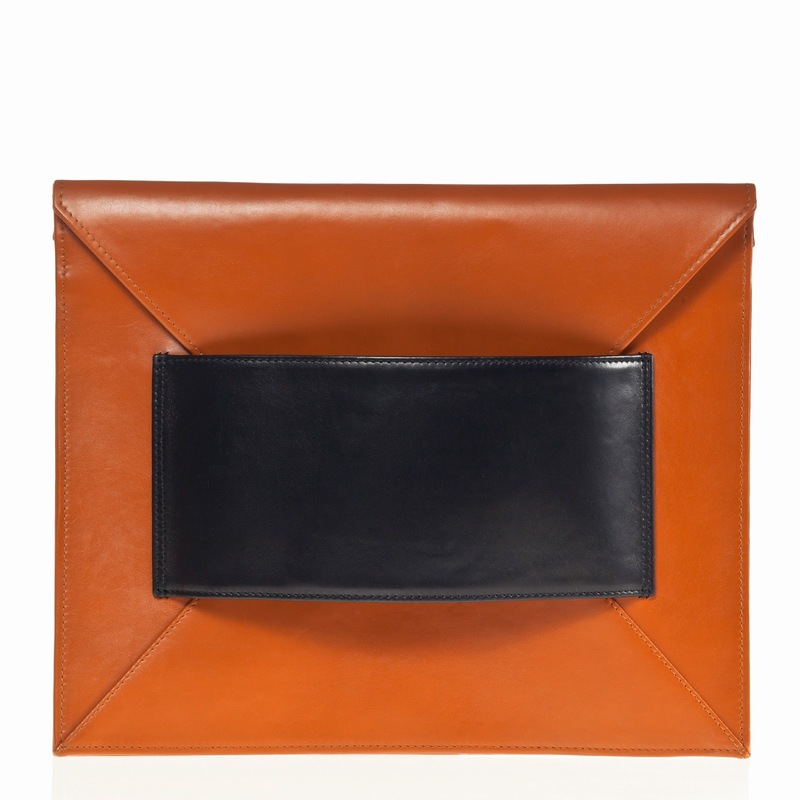 So I'm certainly glad that I stumbled across her beautifully crafted handbag collection. These designs are perfect for the uptown girl who wants a bag that's both stylish and roomy enough to carry all her everyday crap (and that includes just about everyone I know). 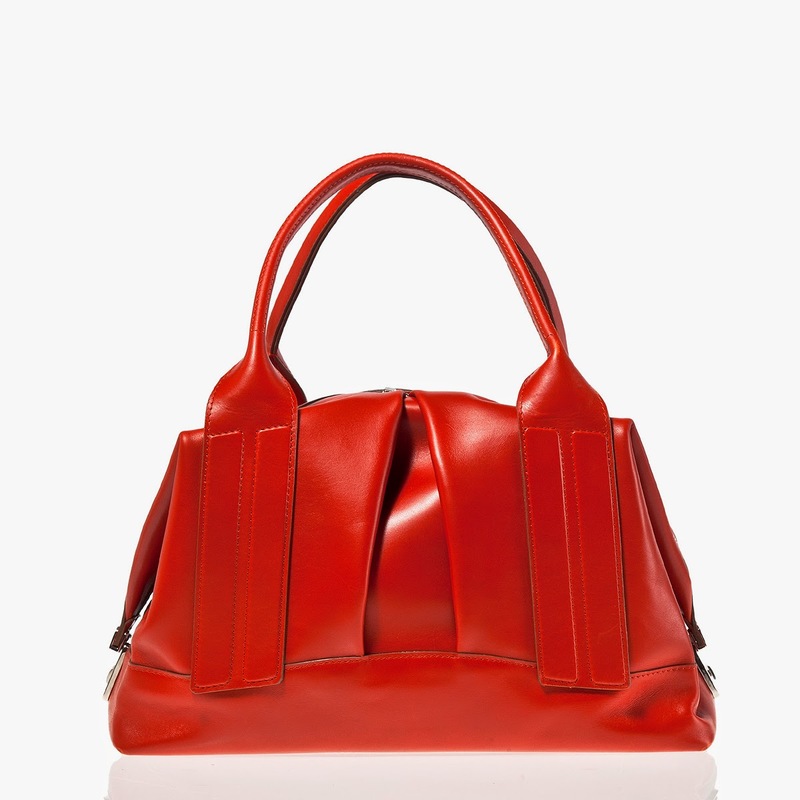 I loved the convertible pleated satchel with raised handle detailing in paprika calf leather with ribbed satin lining. 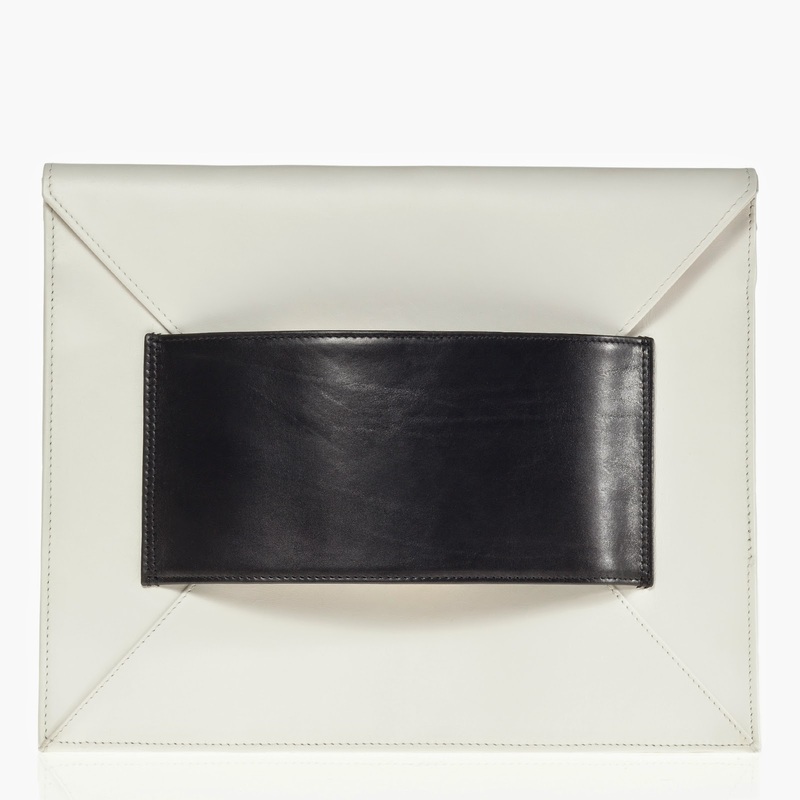 Clutch bags are in and Joanna does an oversized envelope version with wide contrasting band. 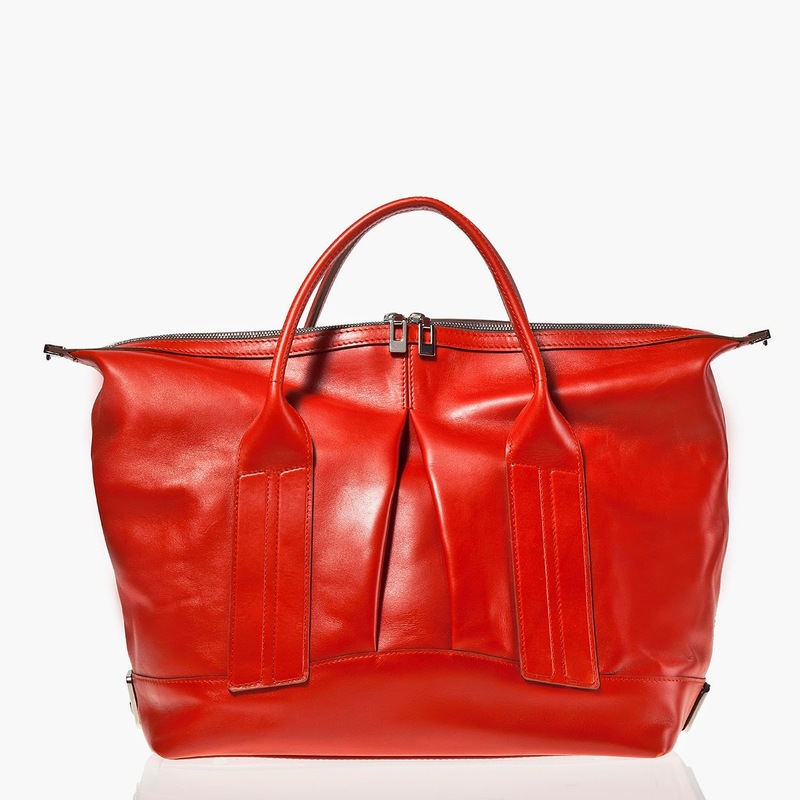 It's offered in white calf with black or dark taupe bands and paprika with cognac. A winner in either color way. Visit online at www.joannamaxham.com. Regardless of Faith, C&C Believes Joanna Maxham Knows Best What to do with a Fatted Calf: Make Amazing Bags!